All of us, at some point or another, have imagined what life would be like as a professional athlete. To score a winning touchdown at the Super Bowl, shoot a 3-pointer to win the NBA finals, or hit a home run during the World Series. These are all scenarios that sports enthusiasts have played out in fields, parks, and driveways across the globe. Unfortunately, not all of us possess the required skill set or experience to make these visions a reality. The only way to achieve this is by living vicariously through ourselves and our favourite athletes in video games. Sports video games emulate the play of traditional sports such as Football, Hockey, Soccer, Basketball, Baseball, Tennis, Wrestling, Golf, and Boxing, to mention but a few. 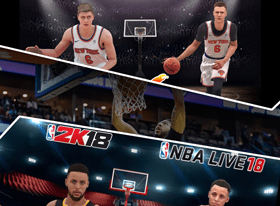 At Qtegamers, we explore the vast range of sports video games and rank the most popular sports video games in each subgenre, including best baseball video games, best basketball video games, best football video games, and best hockey video games. We also take an in-depth look at the biggest sports video game developers in the world and discover how sports betting is linked to the realm of sports video games through our comprehensive sports betting reviews. Professional sports have had a major impact on video games since the early 1970's and continue to evolve to this day. 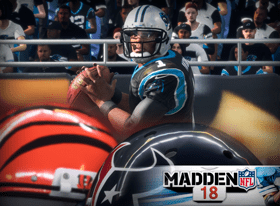 Sports games that feature a competitive element are proving to be far more popular than those that don't, and this is something video game publishers and developers simply can't ignore. It's for this reason that we decided to look at the most popular sports video game developers on various platforms, including PS4, Xbox, PC, and handheld devices, such as the PSP, PlayStation Vita, Nintendo Switch, and the Nintendo 3DS, as well as mobile devices, including Android and iOS. Established in 1991, EA Sports forms part of Electronic Arts and publishes and develops a wide range of sports video games. Most of the sports video games that fall under EA Sports are developed in Burnaby, British Columbia by EA Canada, as well as EA Vancouver, EA British Columbia, EA Blackbox, and EA Tiburon situated in Maitland, Florida. The motto for EA Sports "It's in the game" was inherited by Electronic Arts and is voiced by Andrew Anthony, a journalist of The Guardian. Unlike other companies that develop sports games, EA Sports is not tied to a single platform, releasing all their games to active platforms, including PlayStation, Sega Genesis, Xbox, and more. Some of the most popular sports video games from the company include PGA Tour, NCAA Football, Cricket, F1, NBA Street, NFL Street, NASCAR, and Grand Slam Tennis. Established in 2005, 2K Sports is a renowned video game publisher situated in Novato, California, U.S and forms part of 2K Games. 2K Sports was formed alongside 2K Games by Greg Thomas, Jason Argent, David Ismailer, and Christoph Hartmann. In 2005, the company acquired Visual Concepts, and its secondary company, Kush Games, from Sega to establish 2K Games for $24 million. 2K Sports has published an arsenal of sports video games since its inception, including Amped 3, NHL 2K, MLB Power Pros, Major League Baseball 2K, Top Spin, World Poker Tour, College Hoops 2K, NHL 2K, The Bigs, MLB Front Office Manager, All-Pro Football, NBA 2K, and WWE 2K. 2K Sports is also the biggest rival of EA Sports when it comes to NBA games. Sony Interactive Entertainment, formerly known as Sony Network Entertainment and Sony Computer Entertainment, is a digital entertainment and video game company and is entirely owned by the Sony Corporation situated in Japan. Established in 1993, Sony Interactive Entertainment was formed in Tokyo, Japan but relocated to San Mateo, California in 2016. Sony ventured into the video gaming world with its popular PlayStation brand. The original PlayStation was launched in 1994 and reached worldwide success. To this day, the company continues to develop the PlayStation range of home video game consoles along with a variety of accessories. As of 2016, Sony has sold over 486 million video game consoles worldwide. In terms of sports video games, Sony has released a wide variety of popular games, including Gran Turismo, Sports Champions, Everybody's Tennis, Rally Cross, MLB The Show, ESPN Extreme Sports, Gretzky NHL, MotorStorm, NBA, and High Velocity Bowling. Professional sports not only plays a significant role in the realm of video games, but also impacts the world of betting as well as competitive video gaming. Sports betting has been around since sports came into existence and combines two of the most favourite things to do, including watching or participating in sporting events and gambling. These days, you can literally bet on any kind of sport you can think of without having to leave the bedroom thanks to a broad range of sports betting sites available on the internet. However, those that are new to the world of sports betting are usually overwhelmed by the assortment of sports betting sites available, and its for this very reason that we cover the best sites through our comprehensive sports betting reviews. In addition, more and more video games are published with esports in mind and with it comes a new form of betting as well. Sports betting fans now have access to a variety of markets when it comes to competitive video gaming and you'll be pleased to know that we include a dedicated section for esports as well by explaining the world of esports, the games that are involved, and how you can profit from betting on esports.